Developed through collaboration with leading research organizations, the OnCore® Enterprise Research system provides proven functionality for supporting efficient processes at academic medical centers, cancer centers, and health care systems. The ICB has partnered with Forte Research Systems to offer OnCore Enterprise to all members of the CWRU and affiliated hospitals research community. Academic medical centers and health care systems confront challenges in clinical research management that are distinct from those of pharmaceutical companies and contract research organizations. These centers contend with hundreds of trials at once in an environment where there are many other, often competing, concerns ranging from limited resources to meeting ever-changing regulatory requirements. Organizationally, some activities are conducted by a centralized clinical trials office while others are performed throughout diverse groups or departments. Often, cross-communication between these groups can be limited, making it difficult to maintain information about the institution’s entire research portfolio. The OnCore® Enterprise Research system, the leading enterprise-class clinical trial management system, has a long history of successfully addressing the broad spectrum of challenges faced by mid-sized to large research organizations. Because it is a true enterprise system, OnCore not only helps to integrate information systems (e.g., laboratory, clinical trial management, and billing systems) but it also integrates common operational components (e.g., regulatory, administrative, and financial) with an appropriate balance of centralization vs. decentralization. Although various research-related activities may be performed either by a centralized office or distributed among individual operational units, they can be administered with OnCore at the enterprise level. Examples of these activities include contract, budget, and study financial management for industry sponsored studies; reporting on individual operational areas or across all departments; tracking of clinical research staff credentials; support of investigator initiated research; and collecting research data through Forte EDC. Study financial management is fully integrated with the study administration and clinical data management components of OnCore. This functionality includes managing billing accurately between routine and research-related events, coverage analysis, budget estimating, tracking subject clinical event completion, automatic invoice creation, and reconciliation of payments with invoices. To facilitate a level of consistency in the budgeting process, an enterprise charge master is available that allows tracking of costs as well as recommended research fees for clinical or administrative procedures. Multiple rate bases may be used if the recommended charges are based on specific factors such as industry sponsored vs. federally funded. 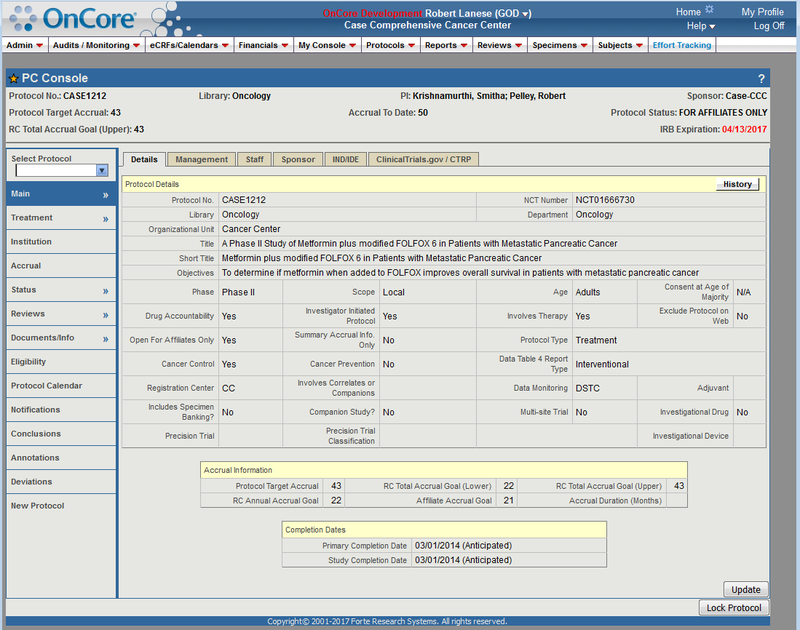 OnCore provides capabilities to set-up and activate studies, manage committees, collect subject information, monitor accrual, and track deviations and toxicities. It also has powerful capabilities for reporting on study progress, safety, and other key administrative and operational data. Mass emails can be sent to all active OnCore users from within the system. The effort tracking console assists institutions with tracking staff effort from pre-activation through study closure while the staff console provides the ability to manage research staff information all in one place. More than 100 standard reports are available, including enrollment reports, delegation, and screening reports to support the needs of CTSAs. In addition OnCore has robust ad hoc reporting capability, such as the ability to add institution-specific or department-specific reports to the system that have been created using the third-party report engine technology, JasperReports. 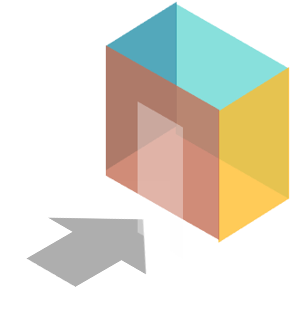 Custom reports can include rich features such as charting and cross-tabs and may be produced in a variety of file formats such as PDF, Excel, CSV, and RTF. Customizable dashboards provide quick access to protocols, subjects and reports. ICB personnel are available to assist with the creation of custom reports. For capturing research data the Forte EDC™ is an electronic data capture software designed with you in mind. 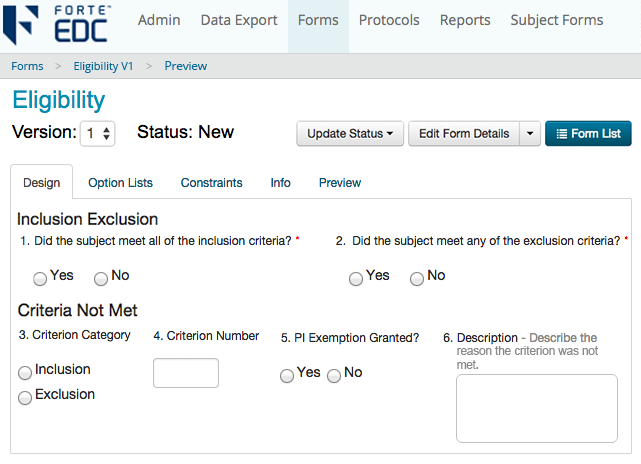 The system is validation-ready and fully supports compliance with 21 CFR Part 11. The easy-to-navigate user interface and turnkey, hosted platform get your staff up and running quickly, with minimal resources needed. The system was developed through close collaboration with top research organizations. Forte’s standards-based approach ensures a reliable, constantly-evolving solution that supports best industry practices and simplifies EDC workflows. Data Managers Data management staff can use the Forms Designer in Forte EDC to create forms, add edit checks, and test eCRFs all in one place, without any programming experience. Site Staff With minimal training needed for site staff to learn the system, Forte EDC helps sponsors get quality data through ease of use for study coordinators. Clinical Research Associates To save time, monitors can use filters to find the exact forms they need, navigate through their list of forms without having to jump back and forth, and verify forms in bulk. Our technology experts have created video tutorials for a variety of SHED tools and resources, including OnCore. See these videos below!